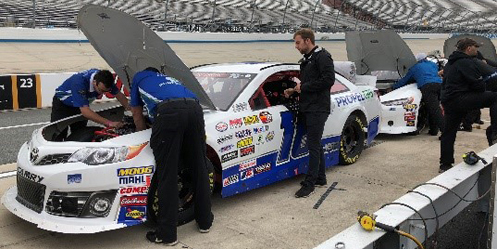 Colin Garrett finished last for the third time in his NASCAR K&N Pro Series East career in Saturday’s Crosley Brands 125 at the Dover International Speedway when his #18 Propel GPS / Hunt-Sellers Racing Toyota crashed out after 2 of 125 laps. The finish came in Garrett’s twelfth career start and was his first since Thompson, six races ago. With the finish at Dover, Garrett claimed the inaugural LASTCAR K&N Pro Series East Championship. 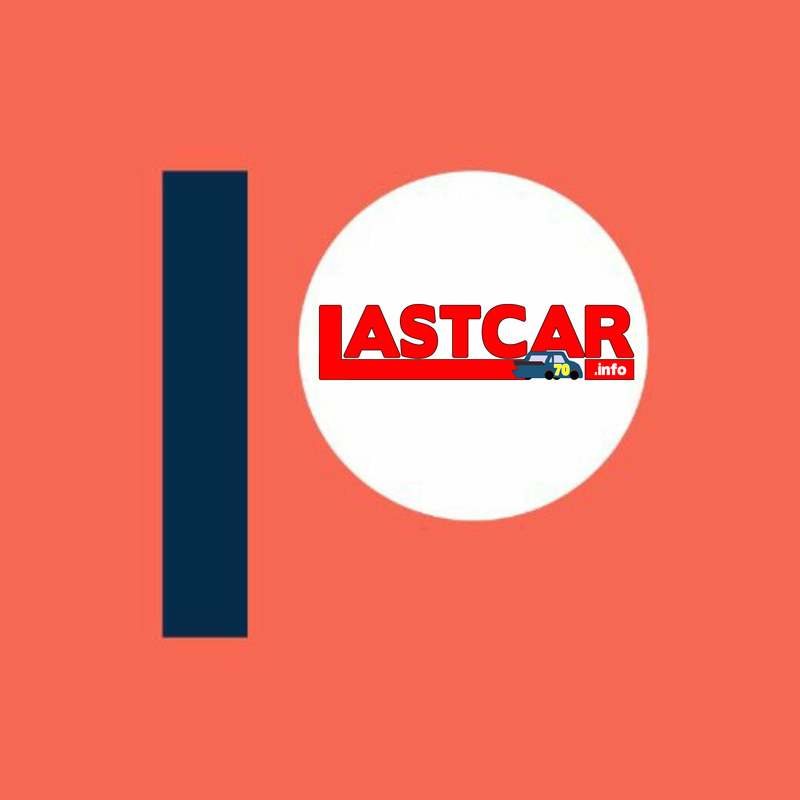 From the last time Garrett appeared on LASTCAR, his schedule has expanded even more. What started as a three-race deal eventually expanded to six races, and from those six the schedule morphed into every race after Langley Speedway. 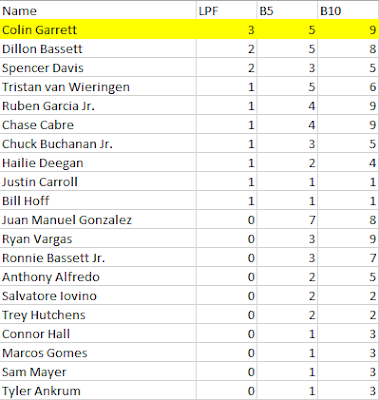 Despite missing two races and finishing last three times, Garrett was able to secure the last spot in the top ten for the season-long points tally, a promising sign for a young driver and a young team. The season finale brought out a few extra cars with eighteen on the entry list. Derek Kraus continued his partnership with DGR-Crosley in the #1, Trey Hutchens and his family team returned, and Sam Mayer continued his late-season swing with MDM Motorsports. Todd Gilliland returned to the K&N Pro Series, taking the place of Tyler Dippel in the #54. 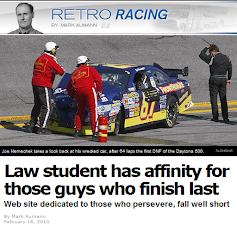 Dippel was dismissed from DGR-Crosley following the previous race. Harrison Burton returned to the site of his championship triumph a year ago, piloting yet another MDM Motorsports entry. Hutchens wound up withdrawing, not participating in any of the weekend’s activities. Juan Manuel Gonzalez was slowest in practice Friday, in which all 17 cars took part. Of note, Garrett was sixteenth, still a second faster than Gonzalez but more than a second off Sam Mayer’s practice-leading pace. Gonzalez was the slowest car to take a lap in qualifying, but he would not start last. Spencer Davis crashed in practice and his Danny Watts Racing team only brought one car to the race, rendering them unable to compete. 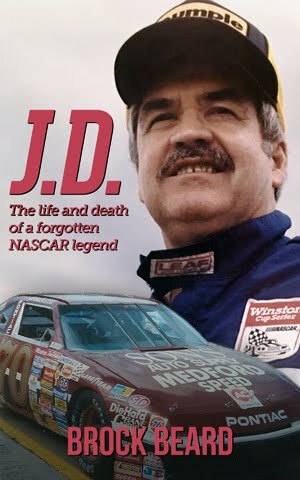 DWR works out of the Rette Jones Racing shop, and RJR lent Davis and company a backup car to start-and-park with - for owners points purposes, according to Davis. Going into the race, it looked like the LASTCAR battle would be settled fairly early - Davis would park his #82 for his third of the year, claiming the inaugural LASTCAR championship. Instead, the action started even earlier than that, at the very back end of the field. Garrett, who started fourteenth, reported a loose condition, and on lap three, spun the car and collected Gonzalez. 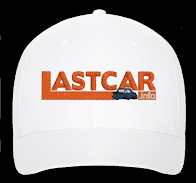 The team eventually blamed a flat right-rear tire as the culprit. Both cars were forced to retire as a result. Davis wound up fifteenth, parking after 11 laps. Todd Gilliland finished fourteenth, exiting after a crash with Ruben Garcia after 49 laps. Tristan van Wieringen rounded out the Bottom Five, also the victim of contact. On the strength of Garrett’s three last-place finishes, Hunt-Sellers Racing claimed the inaugural LASTCAR K&N Pro Series East Owners’ Championship with three. Toyota squeaked out a victory in the Manufacturers’ Championship, breaking a tie with Chevrolet in the final race of the season. 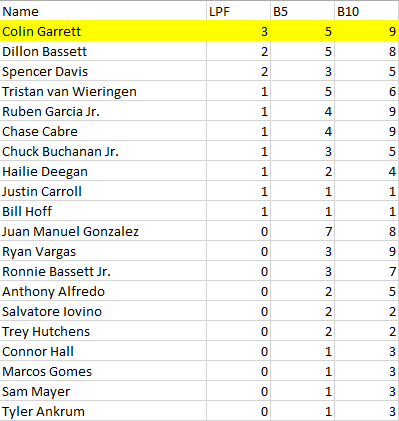 Note: 45 drivers recorded at least one bottom-ten finish, and 34 of those recorded a Bottom Five. The top twenty are included in this snapshot.